Carnival 2018 – The Jungle Jingle, a vibrant and gala fair, with animals swinging, birds singing and flowers blooming and the main attraction being Mowgli, was organised by Spring Blossoms School on Sunday. The entire school campus beginning from the school gate, the passageway, the carnival ground were all decorated brilliantly and transported the visitors to the dense, verdant forests. The theme had been chosen to teach the little ones, respect and love towards every living being, be it plants, animals or humans. Like the characters of ‘The Jungle Book’ they were also sensitised about Mother Nature. 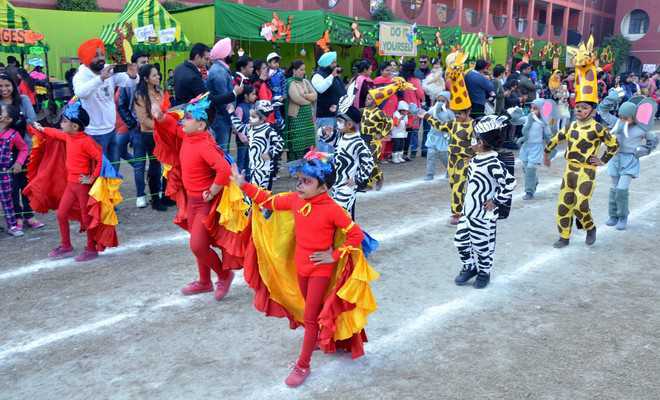 Sonali Giri, Commissioner, Municipal Corporation, Amritsar, inaugurated the show and was highly impressed by the vibrant and colourful extravaganza.